Nostalgic Escape on Lake Burton. 5B 4.5b Farmhouse w rustic charm is a throw back in time. Level yard, steps to lake, close to Waterfall Club and Clayton. Renovated w every detail in mind. 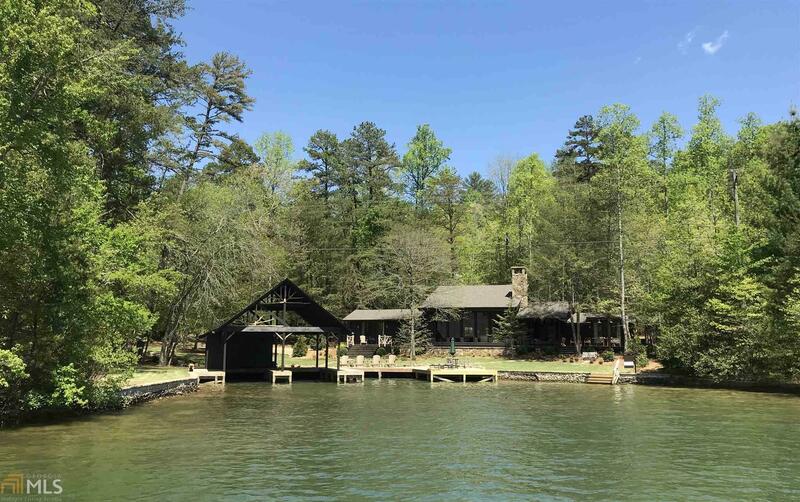 Open floor plan,hwd floors, shiplap and board and batten throughout, vaulted ceilings, master and 2 guest rooms on main level, great room w spectacular wall of windows and majestic lake and mtn. views. Grand stone fireplace for those chilly nights. Exquisite chef&apos;s kitchen w marble and wood counters, lrg island for entertaining. Covered and open aired porch w outdoor stone fireplace and alfresco dining. Upper floor has 2 bedrooms with bath.Plenty of parking, beautiful landscaping. Let the memories begin! Directions: From Clayton Head Out 76 West About 9 Miles. Turn Left Onto Acorn Creek Road. Turn Right On To Perry Lane. Go To 81 Perry Lane.